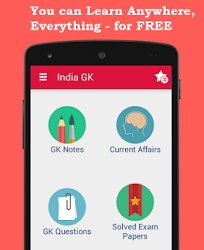 27th, 28th December 2015 Current Affairs MCQs, Quiz, Questions: Current Affairs Daily Multiple Choice Questions (MCQs) for India GK, World GK and current affairs with Collection of daily objective type Question by www.Indiagk.net based on General Knowledge (GK) and General Science (GS) Questions for UPSC, State PSC, SSC, Police exam, Railway exam, SBI, Bank PO, IBPC, SSC, LDC, UDC, Army, Airforce, Navy, Coast Guard, Bank Clerk, TET and all entrance examination with current affairs News, Multiple Choice Questions (MCQs) available on Website www.IndiaGK.net and Android Apps with daily updates:. Hassan Rouhani urge Muslim States Should Strive to Improve World's Opinion of Islam. He is President of which country ? The controversial "Free Basics by Internet.org" is promoted by which company ? Sanghi Report released recently is related to ? Who is winner of best player of Globe Soccer Awards 2015 ?